Addingtons not only provide professional bathroom design to the domestic market, we also handle much larger commercial projects. 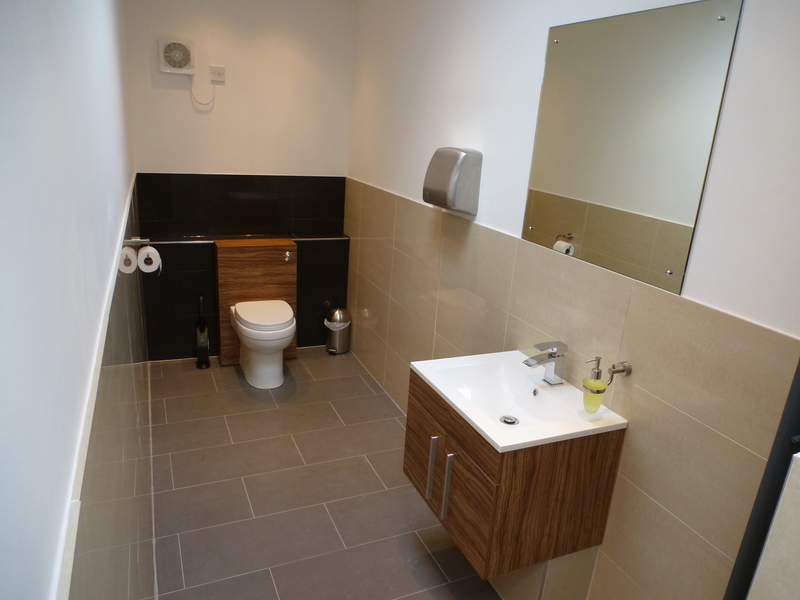 This is Carmichael Engineering Ltd, we designed and fitted three different areas; gents cubicle toilets and twin basins, a ladies single toilet including basin and a fully functioning disabled toilet and basin. We have installed many similar WC projects for dental surgeries and schools. 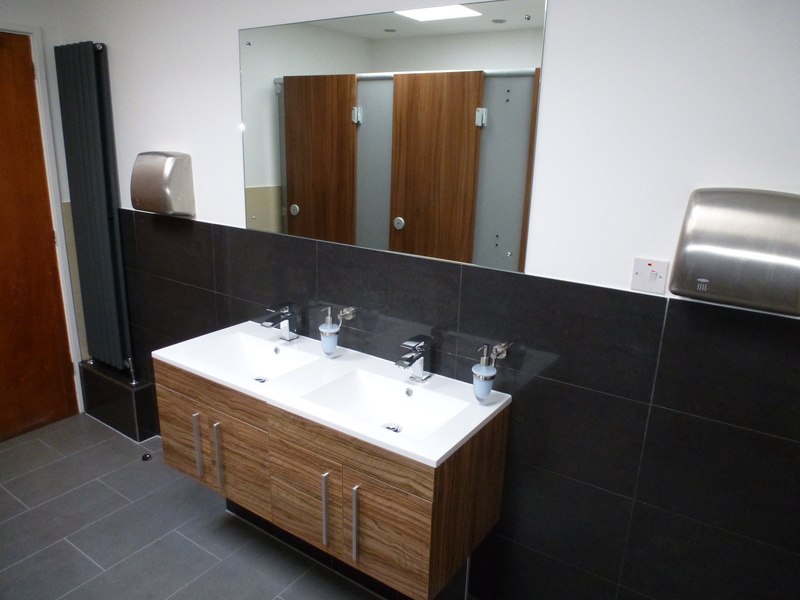 We provided quality products and used the walnut colour of the wood to bring life to the polished beige and black tiled walls. The made to measure mirror covers the width of the basin area and manages to reflect light through the room and create an illusion of space. The Reina column radiators added a modern touch and made good use of the limited area. 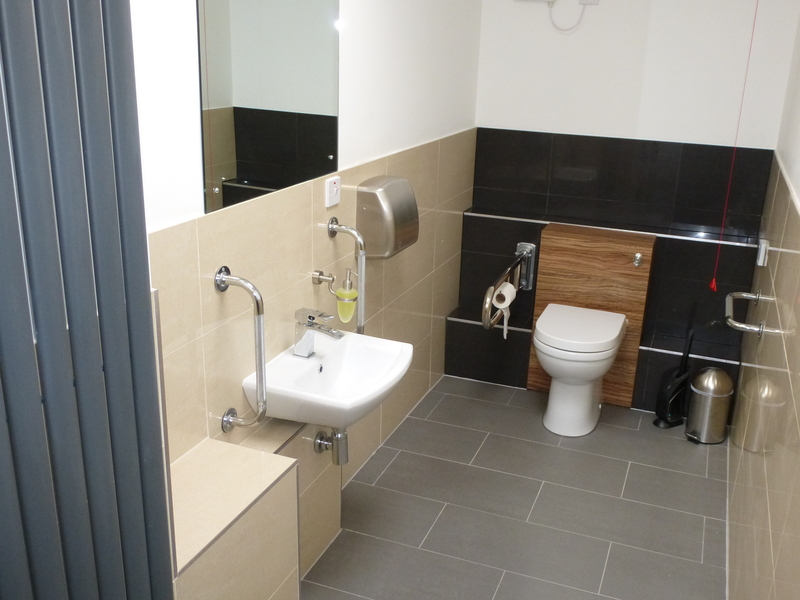 In the disabled toilet we added pull cords and grab rails providing ample support. Bathroom gadgets you never knew existed!